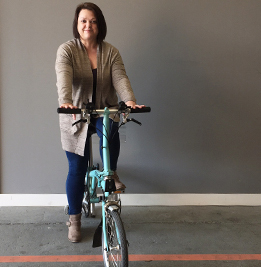 Every member of our tight-knit team is passionate about cycling, which gives us a special insight into helping our customers and partners. Take a look below to put a face to the name. Favourite part about working at Cyclehoop: I love designing products for cyclists and seeing them on the street being used every day. 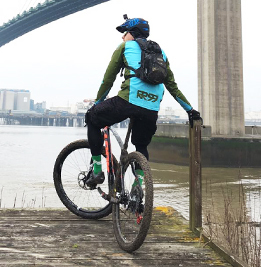 It gives me great pleasure to create products that make cycling easier, safer and more convenient which helps encourage more people to take up cycling. How often do you cycle? I often cycle to work and use the bike to get around town which is much quicker than the tube or bus. Every month we organise IBikeLondon rides and ride around the city with hundreds of other cyclists and I can be found riding one of the music sound systems! 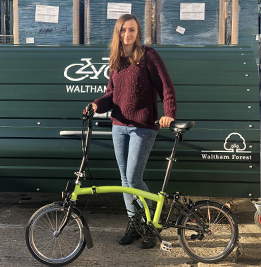 Prior to working at Cyclehoop: I previously worked as an architect in London and came up with the Cyclehoop idea after my bicycle was stolen. It won a design competition and the rest is history! 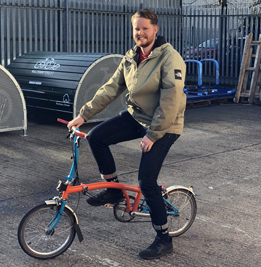 Favourite part about working at Cyclehoop: It’s great to be part of a company so involved in cycling culture, not only providing excellent cycle facilities, but also promoting cycling itself and encouraging everyone to get involved. How often do you cycle? 5-6 days a week. Embarrassing cycling story: I’ve been lucky so far…but I guess there’s always the naked bike ride to look forward to! 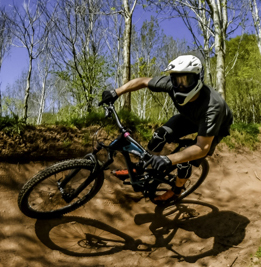 Prior to working at Cyclehoop: Despatch Manager for a fishing tackle manufacturer. Favourite part about working at Cyclehoop: It is a great place to work. The staff are all so friendly and are all cycling enthusiasts so they understand our customers. How often do you cycle? 1-2 times per week. 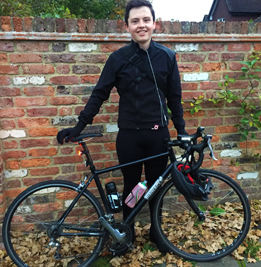 Embarrassing cycling story: I used to cycle regularly in my teenage years but gave it up when I moved to London. 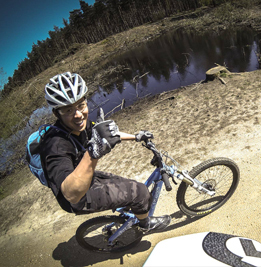 Many years later, whilst on a relaxing weekend to Center Parcs, a friend suggested hiring bikes to get around. I thought it was a great idea only to discover that the old adage that it’s just like riding a bike was in fact a fallacy. Within 5 minutes, I had smashed into a rock and nearly ended up over the handlebars. I’m pleased to say that I am much more confident on a bike these days! 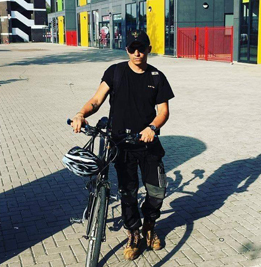 Prior to working at Cyclehoop: I worked for a local authority for 15 years, assisting elderly, disabled and vulnerable people to remain in heir own homes through the provision of adaptations and repairs. Favourite part about working at Cyclehoop: Payday! 🙂 Easy going team – open plan office and no office politics. Work hard, play hard. How often do you cycle? Regularly for short distances mainly when the weather is fine! 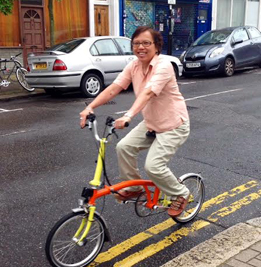 Prior to working at Cyclehoop: I owned a bookshop and was business manager for a training charity. Favourite part about working at Cyclehoop: Everyone is friendly and work well as a team. How often do you cycle? On holiday. Embarrassing cycling story: I ran over a snake which then was pulled round by the back wheel and planted on my leg – could have heard the scream in space! Favourite part about working at Cyclehoop: … working at Cyclehoop! How often do you cycle? Not much in the past years but now I cycle to work every day. 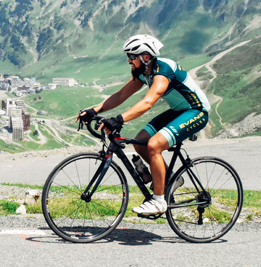 Embarrassing cycling story: I can’t remember any sorry! 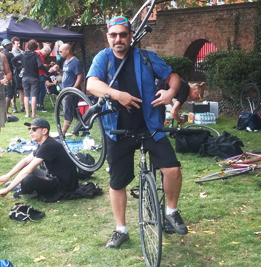 Prior to working at Cyclehoop: I worked as a courier with TNT. Favourite part about working at Cyclehoop: It’s about bikes, what’s not to like? How often do you cycle? Every day! 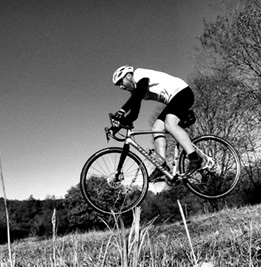 Embarrassing cycling story: Everything about me cycling is embarrassing. Prior to working at Cyclehoop: If I told you, I’d have to kill you. Favourite part about working at Cyclehoop: Working in a company that is helping to grow cycling and making it more accessible for everyone! How often do you cycle? As much as I can! You won’t find me missing a Sunday club ride! Embarrassing cycling story: Falling over at a 3 ways junction in the middle of the road because I forgot to unclip on the right side! 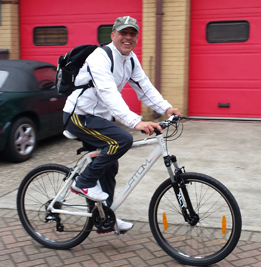 Prior to working at Cyclehoop: Used to work in project management for Evans cycles and in the construction industry. Favourite part about working at Cyclehoop: I really like the research aspect of the job, finding potential clients in new markets is fun. Most of all though I enjoy working with the friendliest bunch of people. The table tennis and table football facilities are also a plus. All in all a great company to work for. Embarrassing cycling story: Failing to track stand at a set of lights, tried to stop myself from falling by holding onto another cyclist, we both went down. I was also head to toe in Rapha, I didn’t get the nod for that incident. 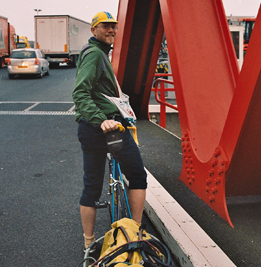 Prior to working at Cyclehoop: I worked at Rapha as a Customer Service Advisor and Repairs Manager. Also a great company to work for. Favourite part about working at Cyclehoop: The people are awesome. How often do you cycle? 5/6 days a week. Embarrassing cycling story: After crashing in a race and tearing my kit, riding home with half my rear end showing to traffic behind me! 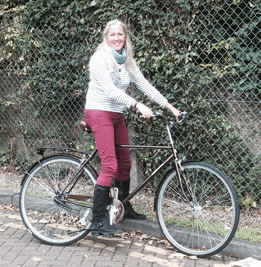 Prior to working at Cyclehoop: I managed Pearson Cycles in East Sheen. Favourite part about working at Cyclehoop: We’re all working towards making cycling more convenient and providing places to park all your beloved bicycles. That’s surely a good thing. Oh, and free fruit! How often do you cycle? Everyday and everywhere. Embarrassing cycling story: When I was bunking off school as a teenager to go on a bike ride and had more punctures than I had spares. I had to call my Dad to come and collect me as I was stranded in the middle of nowhere. Needless to say he wasn’t too impressed, for quite a number of reasons! Now I’m always properly prepared when I go out cycling. 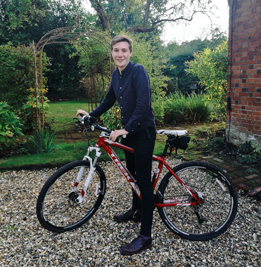 Prior to working at Cyclehoop: I was working in Bavaria transporting people’s luggage while they completed a cycling holiday and servicing the company’s bikes. Southern Bavaria is an absolutely stunning part of the world and I recommend you all to spend some time there. Favourite part about working at Cyclehoop: Everyone is very welcoming and friendly! Embarrassing cycling story: I accidentally cycled through a small swarm of bees and whilst being stung veered off into a river! Prior to working at Cyclehoop: I was a commercial photographer. Favourite part about working at Cyclehoop: Creating top quality products and being able to see them be lovingly used everyday. How often do you cycle? : Fair-weather cyclist. Embarrassing cycling story: Fell off my bike and my friend following behind couldn’t stop in time and rode over my face. I was left with a perfect imprint of his tyre tread across my cheek for a couple of weeks. Prior to working at Cyclehoop: Student in Belfast. Favourite part about working at Cyclehoop: The great team obsessed with cycling! How often do you cycle? 6/7 days a week. Embarrassing cycling story: Would have to be hitting a patch of ice on my driveway, ride length was around 5 meters. 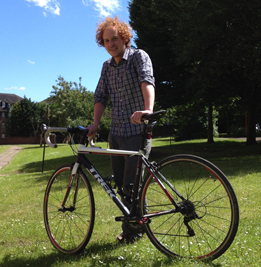 Prior to working at Cyclehoop: I was managing bike shops throughout the South East. Favourite part about working at Cyclehoop: There’s a good energy in the office. How often do you cycle? Not as much as I would like! Embarrassing cycling story: I don’t know if I have any “embarrassing” cycling stories. I did come off my bike as a teenager going quick down one of the steepest hills in Huddersfield, but the gnarly scar it left on my left shin is a badge of honour now. 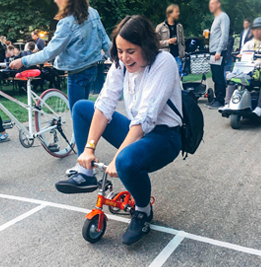 Prior to working at Cyclehoop: I was doing socials and content at Juno Records and had been involved in the music industry for over five years. Favourite part about working at Cyclehoop: The friendly colleagues. Being out and about around London riding bikes on various missions. How often do you cycle? The days a year I don’t cycle can be counted on the fingers of one hand. Embarrassing cycling story: I was trying out a track bike in a shop. I’d brought my own SPD-pedals. Since the bike had no brakes I wasn’t allowed to try it out on the road. I clipped in and started pedaling on the floor of the shop. The salesman mentioned something I didn’t pay fully attention to. To my horror I found out a couple of seconds later what he had warned me about. The floor was built like a deck with a 50 cm drop at the edge. I panicked a bit and failed to clip out. This resulted in me falling over some quite fancy road bikes. Luckily there were no damages made and I wasn’t hurt, part from my pride.